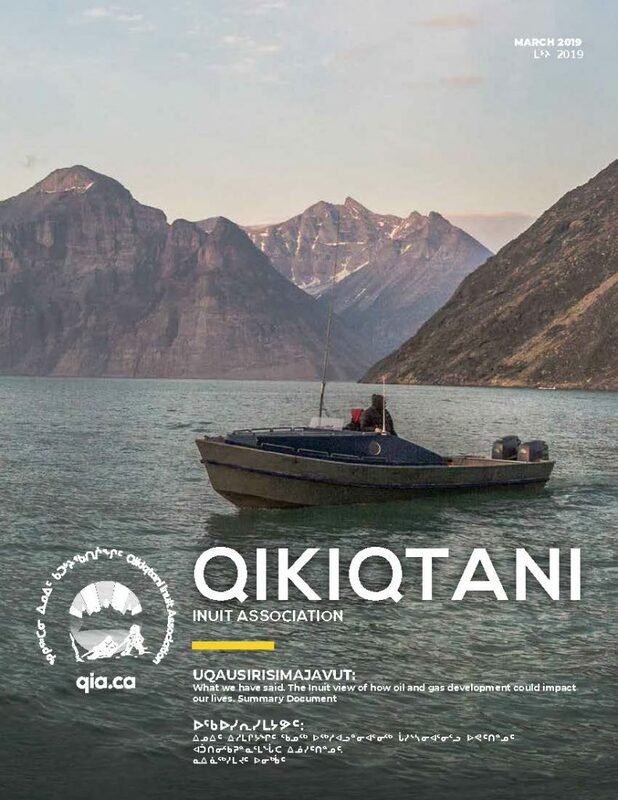 Iqaluit, Nunavut – March 18, 2019 – Qikiqtani Inuit Association (QIA) is pleased to release “UQAUSIRISIMAJAVUT: what we have said. The Inuit view of how oil and gas development could impact our lives.” This summary document synthesizes the findings from the study on the Strategic Environmental Assessment (SEA) on oil and gas activities in Baffin Bay and Davis Strait. This week QIA will be presenting this work to the Nunavut Impact Review Board. Since 2017, QIA has been a part of the working group for the Strategic Environmental Assessment study. Our primary focus has been working with Inuit to collect Inuit Qaujimajatuqangit (traditional knowledge), which will inform the final recommendations of the Strategic Environmental Assessment. In 2016 the Federal Government placed a moratorium on new oil and gas activities in all offshore Canadian Arctic waters. This decision will be reviewed by the Federal Government in 2021. The purpose of the Strategic Environmental Assessment is to understand the associated risks, benefits, and management strategies of offshore oil and gas activities in Baffin Bay and Davis Strait. To support answering these questions, QIA formed six IQ committees, one with Grise Fiord, Arctic Bay, Pond Inlet, Clyde River, Qikiqtarjuaq, and Pangnirtung. These committees detailed food sovereignty, harvesting, and country food sharing surveys. Through these committees, and through independent research over the last two years, QIA has gathered information related to the effects of oil and gas development in Baffin Bay and Davis Strait focused in four areas: wildlife and wildlife habitat, Inuit cultural changes, Inuit food sovereignty and benefits and opportunities for Inuit.